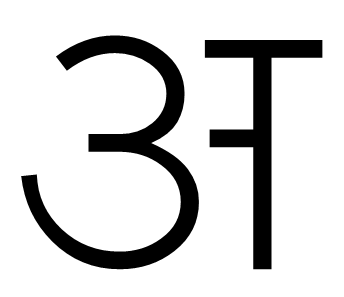 Countdown Top 10 minimal clean Devanagari fonts. Download modern Hindi fonts. Top 10 minimal clean Devanagari fonts. Download modern Hindi fonts. Now days minimal fonts are in demand than traditional fonts. Fonts with less weight and professional look are much used for website design and other trendy work. We can see use of these fonts in fashion and trend related section of Hindi newspapers. They change their font when it comes to printing news about movies or film stars and its obvious that readers feel that now they have entered in new section. It's always a good idea to change font with subject and matter. Using the same fonts for all the time can give your work boring effect so after every time span new fonts are developed and used. At present time minimal and clean fonts are used for most of the work. Google, Microsoft and other companies also prefer to use minimal and clean fonts for their websites. Not only Google or Microsoft but many others huge companies and corporations are using minimal and clean fonts for their online stuff. The same thing apply for Devanagari fonts. Hindi media use these fonts on large scale. Minimal and clean fonts directly reflect awesome print quality of any newspaper. That's why print media use it mostly. The above newspaper screenshot is taken from Patrika Hindi newspaper's movies and trends section. Heading font of this news is a minimal font, but the news matter font is different. Font name: Ananda Lipi cn bt normal Hindi font, Font family: Ananda Lipi cn bt Hindi font, Font style: Normal. Font name: Kruti Dev 010 normal Hindi font, Font family: Kruti Dev 010 Hindi font, Font style: Normal. Font name: Kruti Dev 510 normal Hindi font, Font family: Kruti Dev 510 Hindi font, Font style: Normal. Font name: BharatVani normal Hindi font, Font family: BharatVani Hindi font, Font style: Normal. Font name: Navjeevan normal Hindi font, Font family: Navjeevan Hindi font, Font style: Normal. Font name: Kruti Dev 550 normal Hindi font, Font family: Kruti Dev 550 Hindi font, Font style: Normal. Font name: Kruti Dev 310 normal Hindi font, Font family: Kruti Dev 310 Hindi font, Font style: Normal. Font name: Drishti normal Hindi font, Font family: Drishti Hindi font download, Font style: Normal. Font name: Avanti Hindi font normal, Font family: Avanti Hindi font, Font style: Normal. Font name: Chandra Hindi font normal, Font family: Chandra Hindi font, Font style: Normal. How do I use these fonts, they all have the same encoding… is there a keyboard program or UNICODE converter I can use? Avanti, Balram, Dritshti, Himalaya and Shubhanjali all these fonts use remington keyboard layout. You can download it from keyboard layouts. Links has been updated for some fonts, now they are easily downloadable. If u have so plz send me .